BODYARMORCoca-Cola is taking a minority stake in sports drink brand BODYARMOR. Coca-Cola is taking a minority stake in sports-drink brand BODYARMOR, the beverage giant announced on Tuesday. The deal represents Coca-Cola‘s increasing investment in beverages – especially smaller and lesser-known brands – outside of its trademark cola business. BODYARMOR is an up-and-coming rival to Gatorade and is owned by PepsiCo. It was previously distributed by Keurig Dr. Pepper. Coca-Cola is investing in a Gatorade rival. 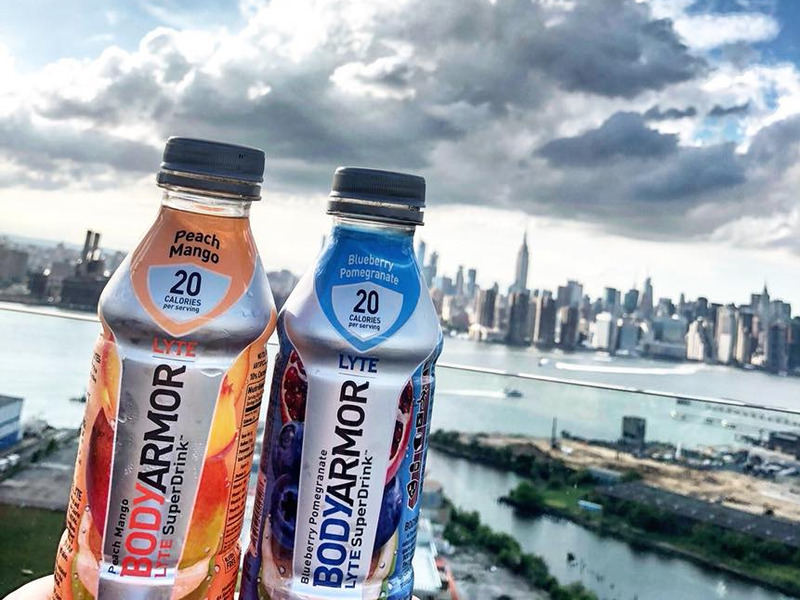 On Tuesday, the beverage giant announced it is taking a minority stake in premium sports-drink brand BODYARMOR. The deal represents Coca-Cola’s increasing investment in beverages – especially smaller and lesser-known brands – outside of its trademark cola business. Other investments include Topo Chico, a sparkling-water brand, and Zico, a coconut-water brand. With the investments, Coca-Cola is increasingly battling with PepsiCo on new fronts. While the cola wars of Coke versus Pepsi have waged for decades, PepsiCo has increasingly expanded outside of sugary drinks. By 2016, less than 25% of PepsiCo’s sales were from soda. Now, Coca-Cola, which also owns Powerade, has a new weapon against Gatorade-owner PepsiCo when it comes to sports drinks. The deal should also worry Keurig Dr. Pepper, albeit for slightly different reasons. As CNBC’s Lauren Hirsch reported, Dr Pepper Snapple made 18% of its revenue in 2017 distributing a number of brands it does not produce, including BODYARMOR. With the deal, BODYARMOR will ditch Keurig Dr. Pepper and become part of Coca-Cola’s distribution system.